The key to success in today’s growing mobile food industry, where customers are getting more choices daily, is effective marketing. We have put together a quick inventory checklist for your use. Does your food truck have or need these basic marketing elements? Run through this list of the marketing efforts below and use the “needs” as the beginning of a new marketing plan based on the basics. 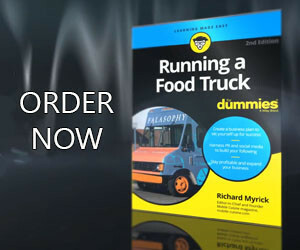 If your food truck business has an informal or unwritten marketing plan, now is the time to make it official. If you already have a marketing plan, be sure to update it regularly. If your food truck’s existing marketing efforts aren’t working, stop now and assess the situation more thoroughly. The food truck industry is growing every day and your mobile food empire can’t afford ideas that don’t work in hopes that someday they might.